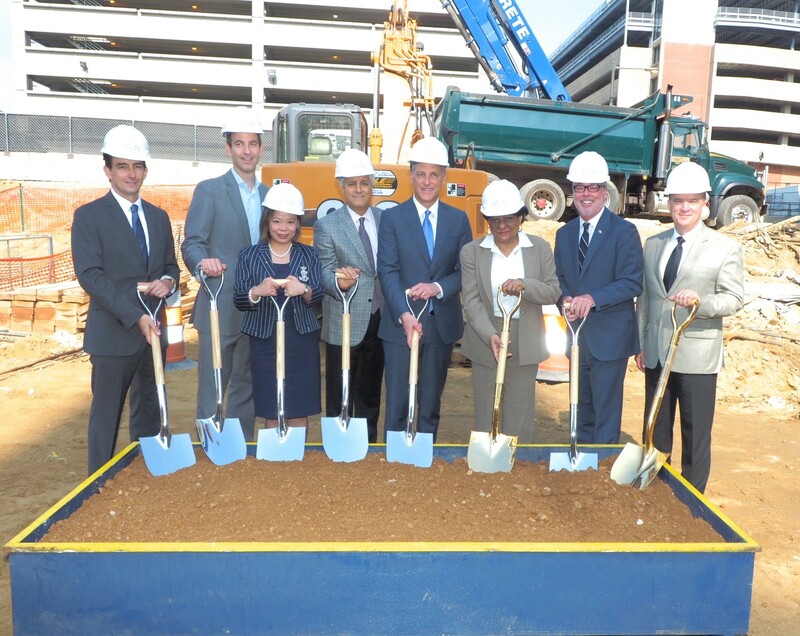 Officials break ground on The Study at University City. From left to right: James Richards, HSBC; Jeff Goldstein, Principal at DIGSAU; Feng Tian, HSBC; Pat Pasquariello, CEO of P. Agnes; Paul McGowan, President of Hospitality 3 and Study Hotels; Jannie Blackwell, Philadelphia Councilwoman; John A. Fry, President of Drexel University; and Jim Tucker, Senior Vice President of Administrative and Business Services at Drexel University. New York, NY – Hospitality 3, a hotel development company with an impressive resume of hotel projects worldwide, held its official groundbreaking on May 8th of The Study at University City, a 212-key hotel rising on the campus of Drexel University in Philadelphia’s dynamic University City district. Slated to open in fall, 2016, the new hotel expands the innovative Study Hotels concept developed by Paul McGowan of Hospitality 3 to deliver high-quality, full-service lodging to university markets and cultural centers. City and business leaders, including Philadelphia Councilwoman Jannie Blackwell, joined McGowan and John A. Fry, President of Drexel University, to break ground on the hotel, which will be built on the corner of 33rd and Chestnut Streets in West Philadelphia. The hotel will be developed and owned by Hospitality 3 and operated by its subsidiary, Study Hotels. The Study at University City follows the success of The Study at Yale, the brand’s first hotel located in New Haven, Connecticut, which has successfully connected guests to its Ivy League locale while becoming ingrained in the fabric of the community it serves. The 145,000-square-foot hotel will feature 212 rooms, approximately 7,000 square feet of banquet/meeting space, a 105-seat corner restaurant and bar and a state-of-the-art fitness center. Hospitality 3 collaborated with Philadelphia-based architects DIGSAU to design The Study at University City with a focus on creating a modern architectural statement with strong precedence from the materiality of Philadelphia. “The building’s massing and scale are attuned to the energy of this vibrant corner, and the selection and use of materials throughout draw connections to Philadelphia’s diverse and defining architectural heritage,” said Jeff Goldstein, Principal of DIGSAU. P. Agnes, a local third generation construction management firm, is overseeing construction of the hotel. Hospitality 3 is currently pursuing other ground-up development and conversion opportunities in vibrant, landmark locations. 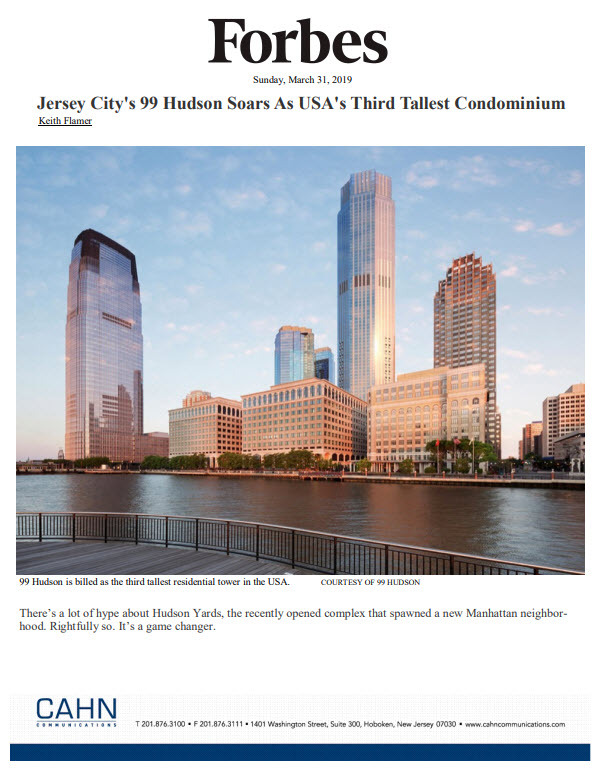 Hospitality 3 is a Manhattan and Connecticut-based hotel development company founded in 2001 with active investments and an impressive resume of hotel projects worldwide. Hospitality 3’s skilled management team has more than 75 years of combined experience in the design, planning and execution of hospitality development projects. Visit www.hospitality3.com for more information.